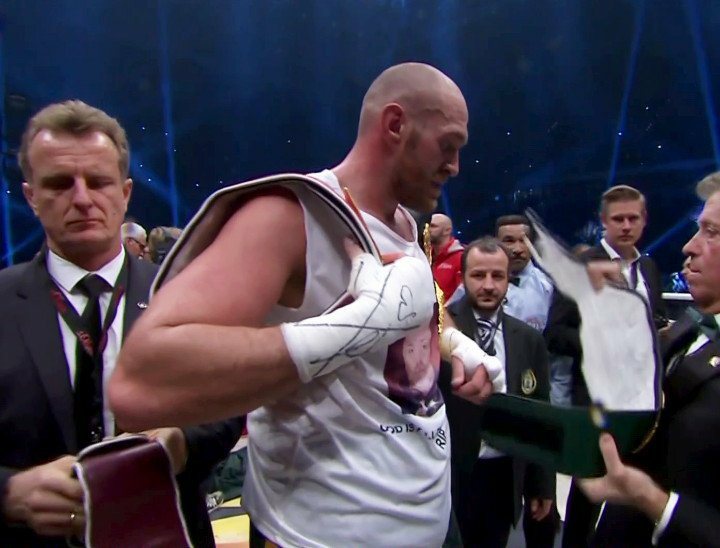 Tyson Fury travelled to Germany to challenge heavyweight king Wladimir Klitschko last November, and now, as we await the rematch, it has been reported how new champ Fury might get home advantage in the sequel. According to an exclusive in The Manchester Evening News, the Manchster Arena in the city has emerged as one of the frontrunners to host the fight. Reportedly, the working date for the anticipated rematch is June 4th. It would be a huge event for British boxing if the fight took place in the UK, and Fury would naturally be happy to fight in the town of his birth. Considering how Fury did the traveling last time, wouldn’t it be fair if the return took place in his homeland? Klitschko has fought in the UK before, but not since way back in 2000 when he halted Monte Barrett in London. Will Klitschko be happy to make a return some 16 years on? How would the UK fans treat Klitschko if he did fight here? Negotiations are ongoing, and Germany, and a big stadium there, remains a strong possibility for the eventual venue. Klitschko as we know, has a massive fanbase in Germany and he has regularly filled 40,000 capacity arenas during his career. In comparison, The Manchester Arena holds 22,000. Money, as is always the case, will have the final say when it comes to where this fight is staged. But a guaranteed sell-out awaits the fight if it does go ahead at the Manchester Arena. But wherever the fight will be held, at least we are ever so slowly edging towards a date (June 4th) and a venue (Manchester or Germany). It seems a lot longer ago than just under four months ago when Fury dethroned Klitschko, perhaps because we have heard next to nothing from the former champ since his defeat; his first in 11 years. Fury, when any fight odds were last listed, was a slight underdog going into the rematch, and fans everywhere are eager to see if he can repeat his upset victory. Has Fury been training hard, keeping his eye on the prize? Has Klitschko been working hard, trying his best to correct the mistakes he made in November? Will the second fight be a virtual repeat of fight-one, something of a dull encounter that was overshadowed by the big shakeup of the heavyweight division Fury’s unexpected win provided, or will we see an entirely different fight this time round? For his part, Fury has said he is happy to go back to Germany to fight Wlad a second time. But it seems there is a good chance he may not have to do so.